﻿ Luis Suárez: "I would give the next FIFA Balon d'Or to Cristiano Ronaldo"
21.05.2012 » Luis Suárez: "I would give the FIFA Balon d'Or to Cristiano Ronaldo"
Luis Alberto Suárez Diaz, mostly known as simply Luis Suárez, has spoken to Marca and admitted that he wouldn't close doors to a move to either Barcelona or Real Madrid. The 25-years old had a good season with Liverpool on a personal level, scoring 17 goals on his 38 appearances, but doesn't seem to be able to avoid being linked with a transfer to Spain. Suárez also revealed that in his opinion, Cristiano Ronaldo deserves winning the next FIFA Balon d'Or, despite the historical numbers pulled of by Lionel Messi this season. Luis Suárez has been Liverpool's most decisive player this season, making him one of the most prolific and coveted strikers in World football. The Uruguayan granted a short interview to the Spanish newspaper, Marca, revealing that he has no particular preference for Barcelona or Real Madrid, if a potential transfer move to Spain was to happen in the upcoming months. As for the "CR7 vs Messi" debate, Luis Suárez defends that Cristiano Ronaldo should be awarded with the next FIFA Balon d'Or (2012), simply because the Portuguese contribution in terms of goals made the difference in La Liga, allowing Real Madrid to clinch the title. 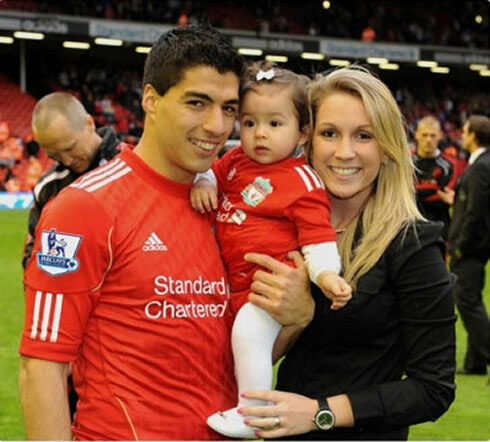 Luis Suárez started the interview by noting that he feels very happy with his life at Liverpool and that he won't try to force his way out of the club for any personal reasons. 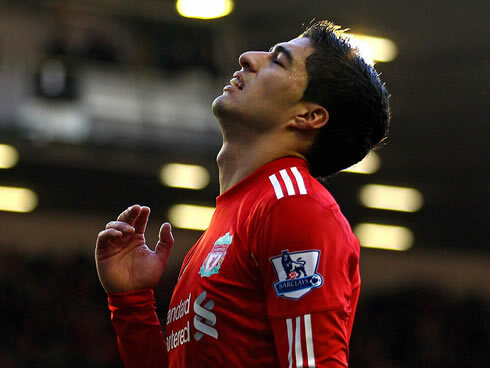 Luis Suárez: "I'm very happy when I'm outside the pitch, as well as when I play for Liverpool. 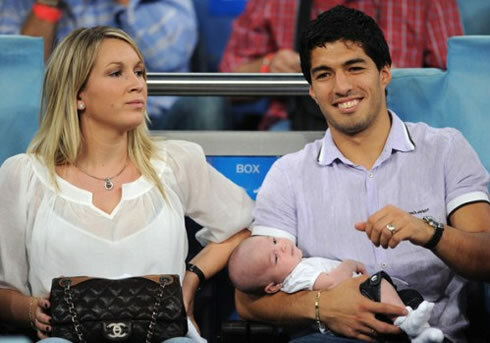 People have to bear in mind that players are normal persons, who go to the supermarket and spend time with our families. I try to show that to the public, through social networks on the internet, because doing that is something that pleases me". 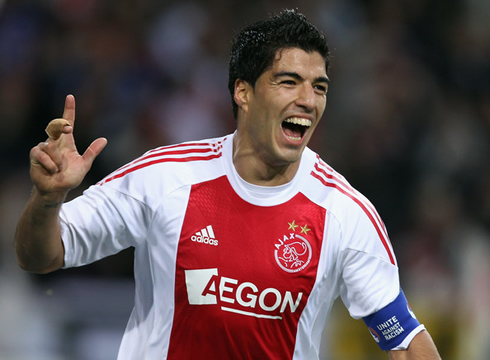 Before joining Liverpool in 2011 and making his debut in the 2nd of February against Stoke City, Suárez had a 3 and half seasons' experience in Holland playing for Ajax, where he scored 111 goals in 159 games. In England, things are different, but the challenge itself is something that makes the Uruguayan to always look to improve his game. 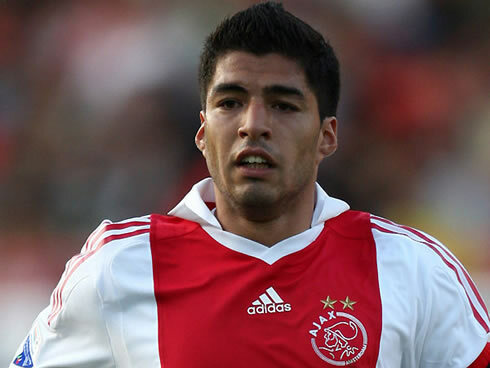 Luis Suárez: "There's a huge difference between Dutch football and English football. 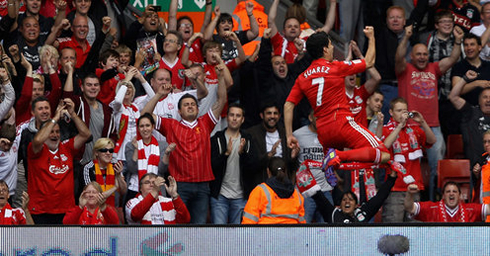 In the Premier League, it's a lot more physical and the passion in the crowd is simply unmatched. However, I learnt a lot in Holland and I'm only the player I am today, because of the years I've spent there. As for the way of life, I have to say it's been diferent as well. When we were in Holland, we didn't have our daughter yet and now we do. 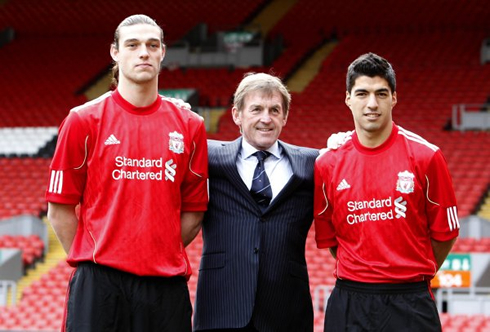 We're very happy with the life we're having now in Liverpool", cleared out the former Ajax star player. When looking back at the current season, Suárez prefers to focus on the positive side and seems to believe there are good reasons to think there's a brighter future ahead of them. 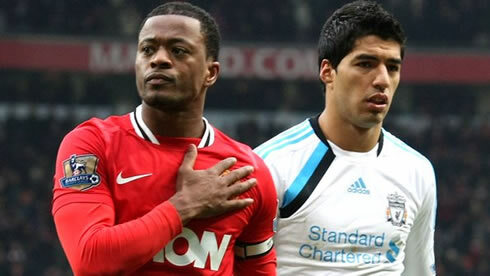 Suárez: "At a global level, I think we had a good season since we reached two from three possible cup finals. In the English Premier League though, it didn't go the way we expected, but there are also good things we can learn from this experience. Next year, we'll surely be stronger since an important group of players is already committed to stay", assured Liverpool's forward, who usually wears the number 7 jersey. Just like many other top athletes in different sports, Suárez confessed to be very demanding with himself and that he's the first to be upset when he doesn't perform on the pitch in the way he wants. Suárez: "That's true. I get angry with myself plenty of times. I'm always looking to improve my game and my wife surely knows when I get upset at home. I think about particular game moments over and over, but at least that helps me recognizing my mistakes. When I have a good game, I like talking about it, but it's just the exact same thing when I have a bad game...", disclosed Luis Suárez. 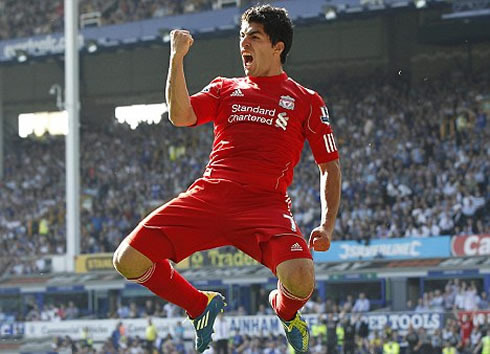 Manchester City won the English Premier League title in the most dramatic possible way, but from a neutral perspective, Suárez believes that the Citizens deserved to win it. 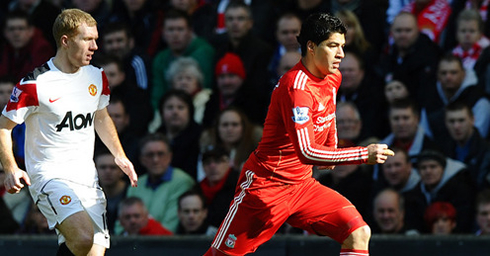 Suárez: "It was a very tight league, but City never gave up fighting. They are the deserving champions as they scored a really impressive amount of goals in the first half of the season". Manchester City and Manchester United battled until the last minute of the season, but Roberto Mancini's side comeback against QPR, in the late minutes of the game, ended up allowing the club to clinch the title. As for the popular but always controversial question regarding what's the best football league in the World, the Uruguayan slightly leans to the English competition. 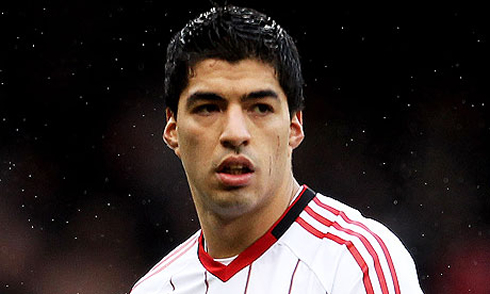 Luis Suárez: "They are both great leagues. It would certainly be something different to play in both of them, but I think that the English Premier League is more balanced and competitive", pointed out Suárez. Another player that has been recently linked with a possible move to Barcelona or Real Madrid, is Manchester City's midfielder, Yaya Touré. 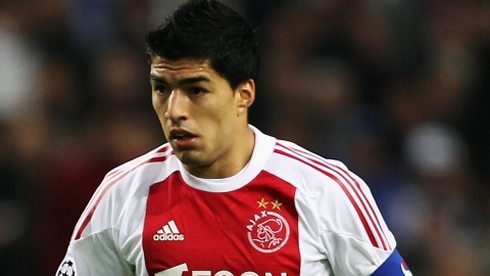 In Suárez opinion, the Ivory Coast player has been one of the key players in the league. Words of praise have also been sent to Swansea City, for their constant attempt of playing a positive football. 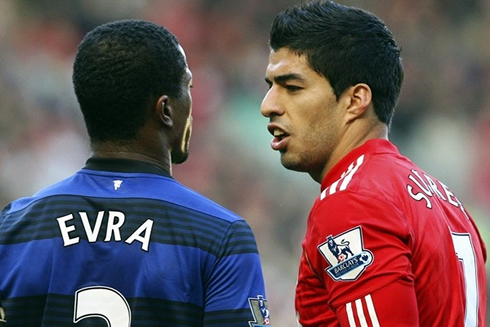 Suárez: "Touré Yaya is definitely one of the greatest players that the English Premier League has. I also have to say that Swansea City was a pleasant surprise, because they always tried to play football with short passes combinations and they didn't care what zone of the field they were at, or even if it was the goalkeeper or the striker who had the ball. What Roberto Martínez did on Swansea is really worth the praise", noted out the 25-years old forward. 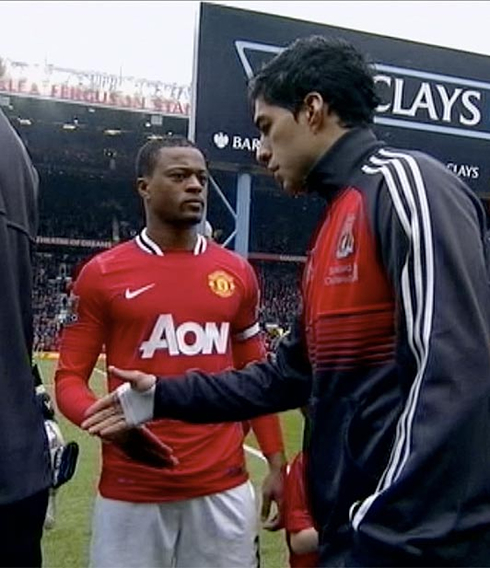 One of the most controversial moments in the English Premier League this season, involved precisely Luis Suárez and Manchester United's player, Patrice Evra. 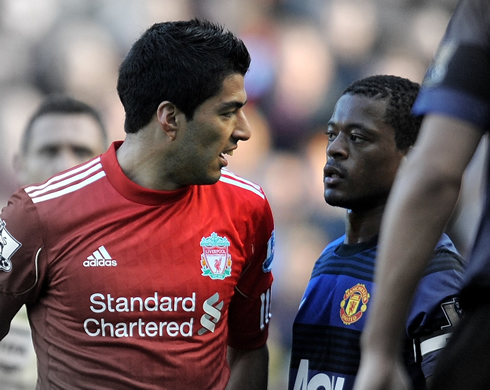 The French defender accused Suárez of racist comments and abuse, over a game between Liverpool and United in November 2011, that ended with a 1-1 on the scoreline. 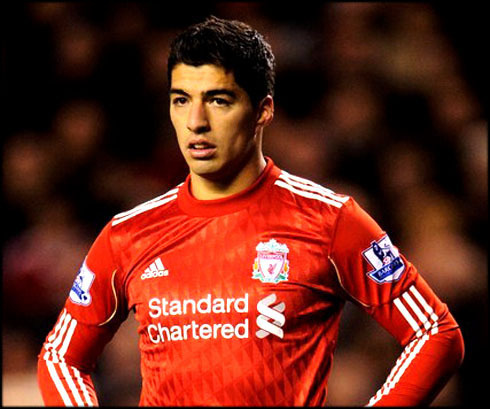 The incident brought a lot of problems to the Uruguayan player and the club itself and the F.A. 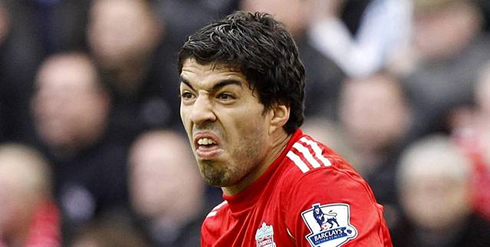 decided to ban Suárez with a 8-games suspension. 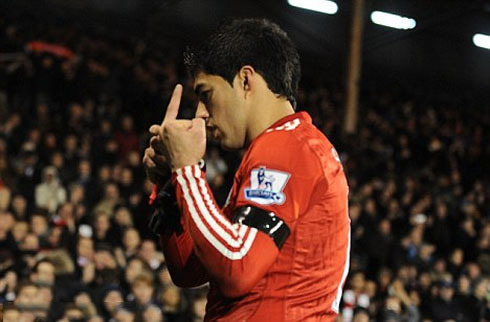 Suárez: "I went through hell back then, but at least it was good to know who really is on my side. 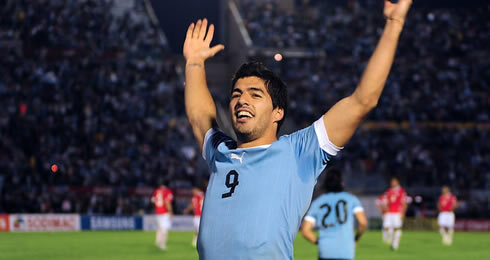 I felt a lot of support coming from Asia to Uruguay." 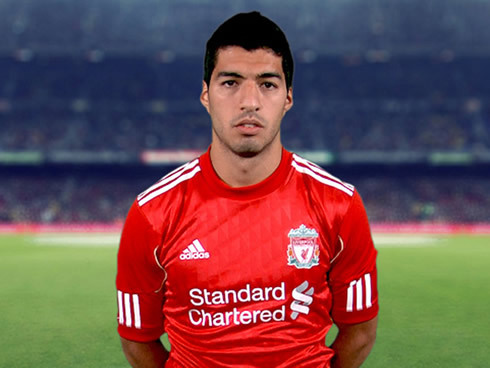 When it comes to choose between Barcelona or Real Madrid, Suárez simply couldn't pick one club and revealed that he would fit well into any team's playing styles as long as they play good football. Suárez: "Both sides have their own way of approaching the games, following what their coaches plan meticulously. What's clear to everyone is that they both have a beautiful football playing style, which we can really enjoy just from watching on the television. I think I would be a good fit in any of them, regardless their different playing styles. 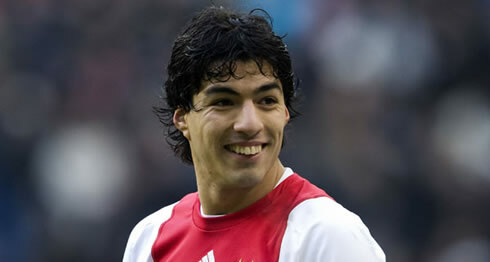 In the end of the day what matters is they play good football and that's where I could fit in...", remarked the Uruguayan. 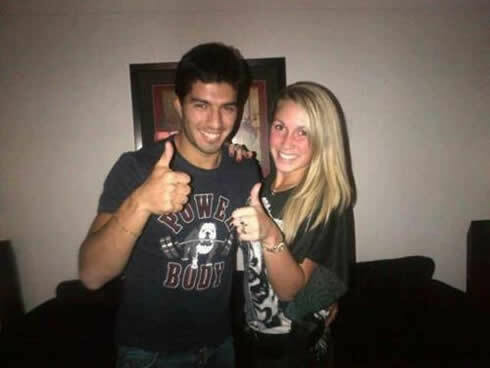 However and even though a possible move to Barcelona and Real Madrid has been reported repeatedly by the media in the past, Suárez confirmed in first hand that he never talked with anyone from the two Spanish giants. Suárez: "I'm being honest when I tell you this, but I've never been in touch with any representatives from either Barça or Real Madrid so far. 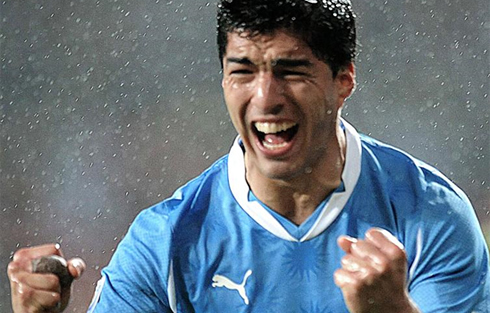 If we were to believe in all the rumors, I would have played for like 20 teams already...", noted Luis Suárez. Just before ending the interview, Suárez still had time to express his view on the "Messi vs Ronaldo" battle and said that despite Messi's unbelievable stats pulled off this season (50 goals in La Liga and 72 goals in all competitions), he still thinks Ronaldo deserves to win the next FIFA Balon d'Or, more than the Argentinian. Luis Suárez: "What Leo Messi has done this season is historical and it's like a non-sense in terms of goals. However, I would hand the FIFA Balon d'Or award to Cristiano Ronaldo, not only because of the huge amount of goals he also scored, but because they were decisive for Real Madrid to win La Liga", concluded Liverpool's forward on his interview to Marca. 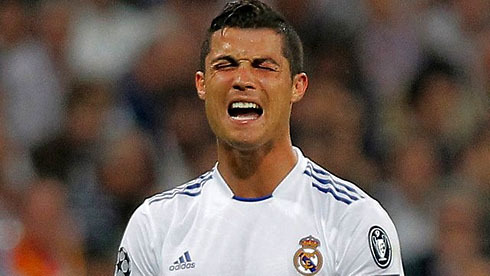 Real Madrid's season is now over and there are no games left in their schedule until the pre-seasons starts over, by July 2012. Cristiano Ronaldo's next game will be for Portugal, in a friendly game against Macedonia, on May 26, in order to start preparing the EURO 2012. You can watch Juventus live stream, Portugal vs Macedonia, Barcelona vs Athletic Bilbao, Norway vs England and Los Angeles Lakers vs Oklahoma City Thunder, all from our sports live streams section. Cristiano Ronaldo will most likely be on the line-up, when Portugal hosts Macedonia.